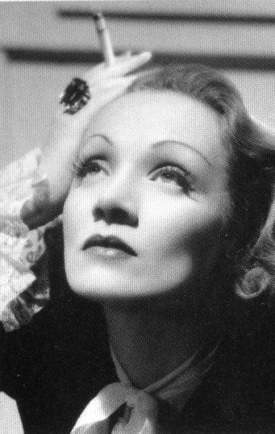 Marlene. 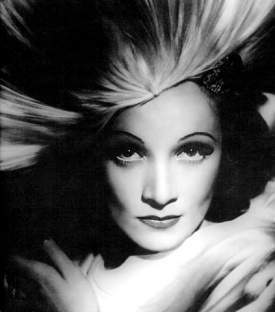 Dietrich. What can you say about her? Well, for starters the fact that whether you refer to her by her first name or her last, everyone knows who you are talking about, tells you what an epitome of a movie star she was. 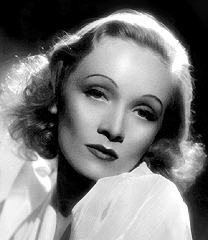 Playing nightclub performers in many of her early German films and later hitting it huge in the United States in a number of higher caliber dramatic roles, she only earned one Oscar nomination over the course of her career, but the camera loved her and there's no denying she's a classic Hollywood legend -- maybe that's enough. 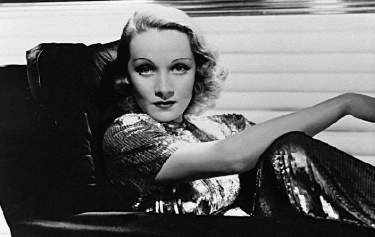 More publicity shots of Dietrich (including one by George Hurrell in the mid 1930's at right) -- it seems everyone liked to take her picture. "You're a mess, honey." --as Tanya in TOUCH OF EVIL (1958). "You're future is all used up." 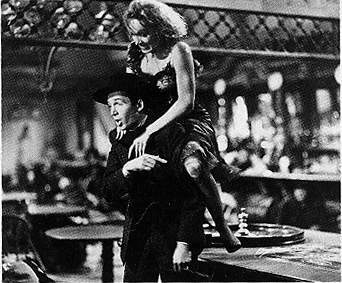 --as Tanya in TOUCH OF EVIL (1958). 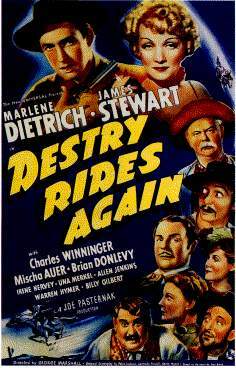 A poster from DESTRY RIDES AGAIN (1939) with Jimmy Stewart, and a still from one of the best bar brawls ever captured on film.